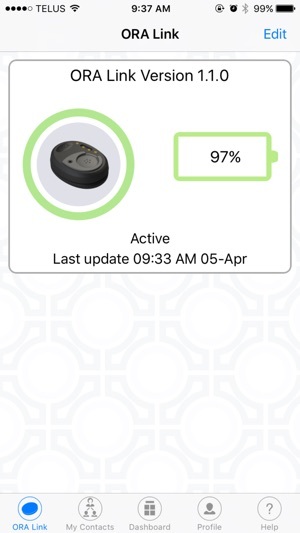 This ORA App pairs with the wearable ORA Link (sold separately) via Bluetooth to create a Personal Safety Alert System. In an emergency, seconds count. A locked smartphone can take too much time to call for help or your phone may be out of reach. With a push of a button, an alarm sounds on your phone, your contacts are notified, and 911 is there for backup. The ORA Link is a lightweight, discreet wearable safety device that pairs with the ORA app to send instant emergency notifications when help is needed - at the push of a button. When you press the button on the Link, your phone will sound a loud alarm, which can help to deter would-be attackers. 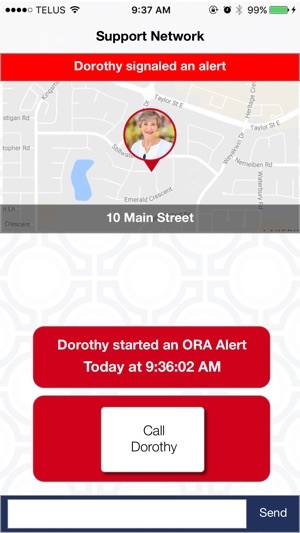 ORA also sends instant emergency notifications to your network of contacts that you need help, and the live map will show them where you are. If no one is available, or if they are not able to reach you after two minutes, your smartphone automatically calls 911 as a backup. This is one of the major differences between ORA and all the others. Since ORA communicates through the ORA smartphone app, you are protected wherever there is cell phone coverage, with any cellular carrier. ORA also works in any country with 911 emergency services. ORA incorporates a balance of features that provides a universal, affordable solution for many; older adults, enforcement officers, social assistance, home care, oil and gas inspectors, and more! 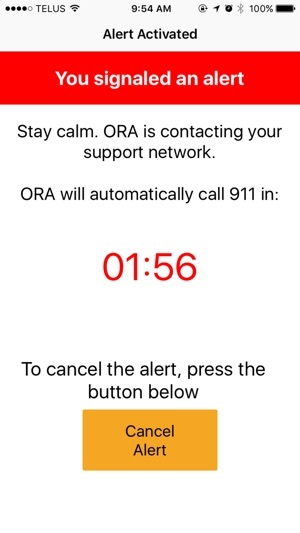 • No worries if it's a false alarm - you can easily cancel the emergency from the ORA App. • For contacts, you can pick whomever you want and as many people as you want. • The simple magnetic charger on the Link means never having to worry about replacing a battery. • Since the ORA Link is discreetly disguised in interchangeable holders, no one knows you are wearing an alert device but you. 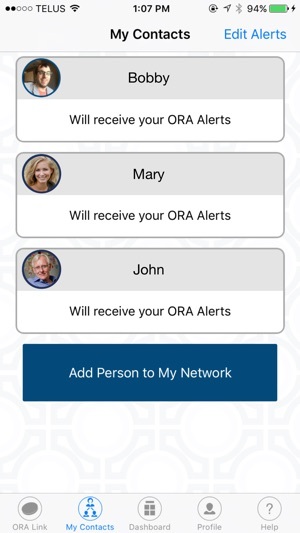 • When you purchase ORA, it is yours to keep with no monthly fees. There are no contracts or hidden fees! • Traditional devices typically only work in the home and yard, whereas ORA works wherever there is cellular coverage. 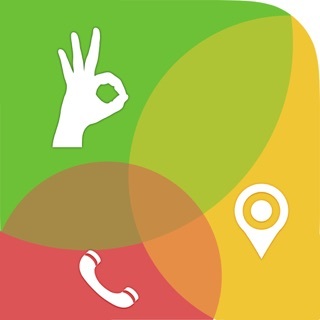 • Alerts go to your network of contacts, instead of a stranger in a call center. 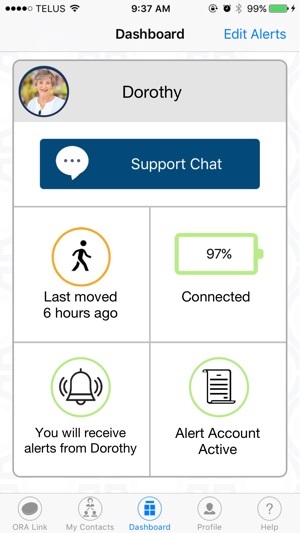 • Your network also has access to a dashboard of information on their app, including connection details and inactivity, something other devices do not have. • Patent pending 911 emergency response - exclusive to ORA! Set up process clarified and easier to understand.